This beautiful angel is painted on a 20 x 24 canvas on harboard panel, sealed with professional non-yellowing artist's varnish. 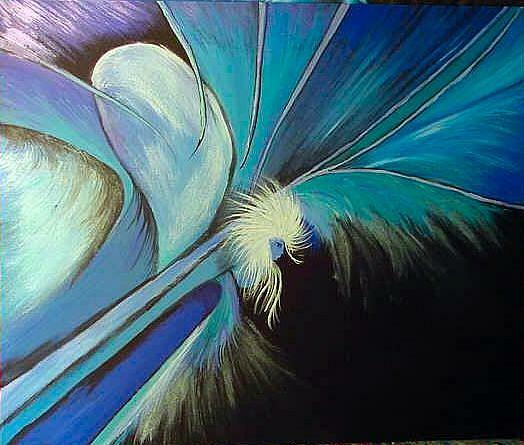 This beautiful blue angel is full of positive energy, waiting to wrap you and your house in her blue protective light. Shipping is $12.50. Paypal preferred but will take money orders; payment must be verified within 36 hours Shipping within US only. 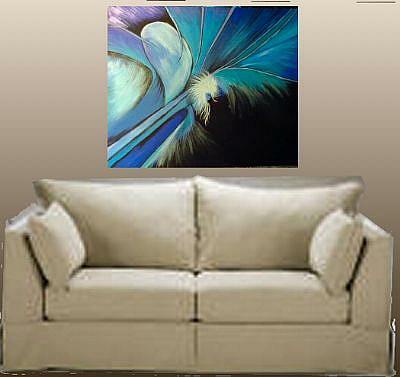 Photo shown over sofa is not size representational but to show what painting might look like hung on a wall.